I have been with Blackberry smartphones for about 7 years from Curve 9320 to Torch 9860 to the latest Z10. I used them as my primary phone for communication both on work and personal. And fair to say, it's still a good option for business, although the entire smartphone industry is flood with Android and iOS devices. But for personal user such as gaming and entertainment, which takes an important role in our daily life, Blackberry phones are not the ideal candidates. That's why I bought an Android-powered LG G3 for personal use. The problem comes when I am preparing to transfer some of the important files (business contacts, messages, emails, and photos) stored on my Z10 to G3. I had almost 200+ contacts and 500+ text messages. If I did the transfer manually, it would take hours to complete the task with copy-and-paste. This will be boring for sure. As technology developing so rapidly, I guess there should be apps or software programs can help me do the transfer automatically. Luckily, I finally got one of them to save me from boring. 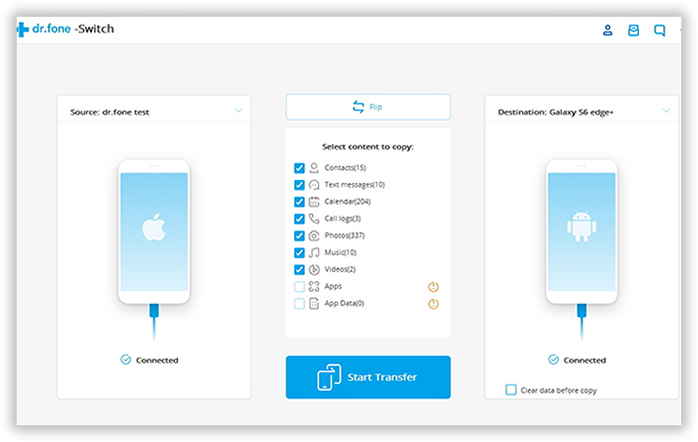 Thankfully, Phone Transfer is a desktop app that provides easy and powerful functions to help smartphone owners transfer content from one mobile device to another seamlessly. All the transfer tasks are done in background. What's you need to do is just a few mouse clicks. Then hand the rest of the tasks to it. In addition, it supports all of the mobile operating systems so as to the major smartphones sold on market, including Android, Blackberry, iOS and Symbian. Click the above button to download the corresponding version onto your computer. Then double-click downloaded file to start the installation. The program runs automatically at the end of installation. Plug both phones to the computer via USB cable. Make sure USB driver was installed properly to help the app find the devices. Once the devices are well attached, the program will detect them automatically and displays them on the corresponding area on the screen. Click the Flip button if the Destination phone is not the S4. Make sure the two phones can be properly connected when the program is loaded, then the application will load and analysize your resource LG phone, all found data will be displayed on the middle of window with the number of items. Hit the select box, choose your data if necessary. Note: Conversely, iIf you want to move data from BlackBerry to LG phone, just click the “Flip” button to change the place between the Source and Destination. 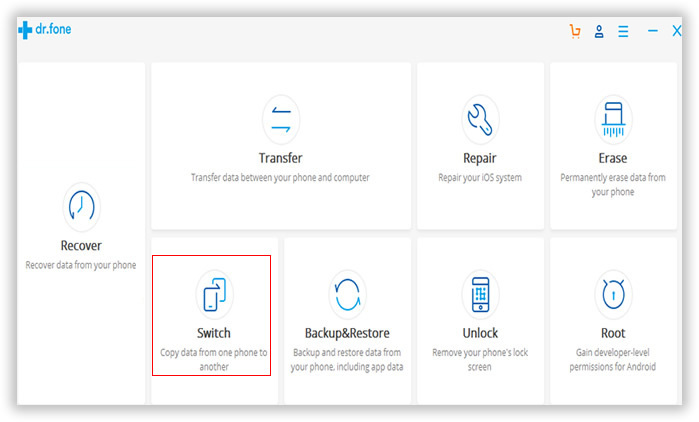 As mentioned above, this Phone Transfer is able to move multiple content from one device to another, including contacts, text messages, call history, apps, photos, music and videos. Check the items you'd like to transfer and click Start Transfer button to start the transfer task. 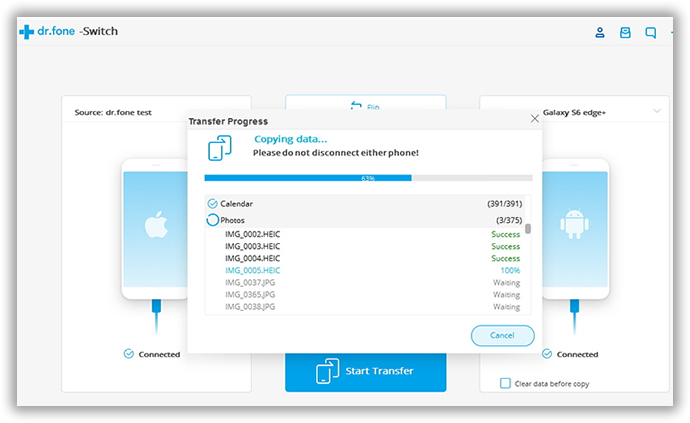 It may take some time to finish the whole transferring process depend on the size of the data, please do not remove the media or disconnect the drive, otherwise, it could lead to a problem of application error or lead to your data loss. If you had tried contact transfer manually, you will notice about the huge advent this program brings. It takes care of the dirty task for you and all of the transfer is done in a few minutes. You have to do nothing except for 3-6 mouse clicks, which is just a piece of cake, no matter you're a computer novice or tech expert. This is the must-have app that I can't live without and I highly recommend it to anyone who needs content transfer between different mobile devices. You can hardly find a program that's better than it.